Forth Hoyt And The Hoyt Group at Keller Williams Land Division Present A Very Special 45+ Acres. This piece of ground was purchased many years ago to hold as investment and harvest the timber... Now the owners are at a point in their lives that they are looking to sell this piece rather than harvest the timber themselves. The Timber Cruise from nearly 40 years ago inventoried over 350,000 board feet of marketable timber. 40 years ago. The property is remote and undisturbed and there is Remarkable wildlife; everything you can imagine lives in this drainage! Deer, Bear, Eagles, Bobcats, Mountain Lions, Owls, Wild Turkey... you name it! 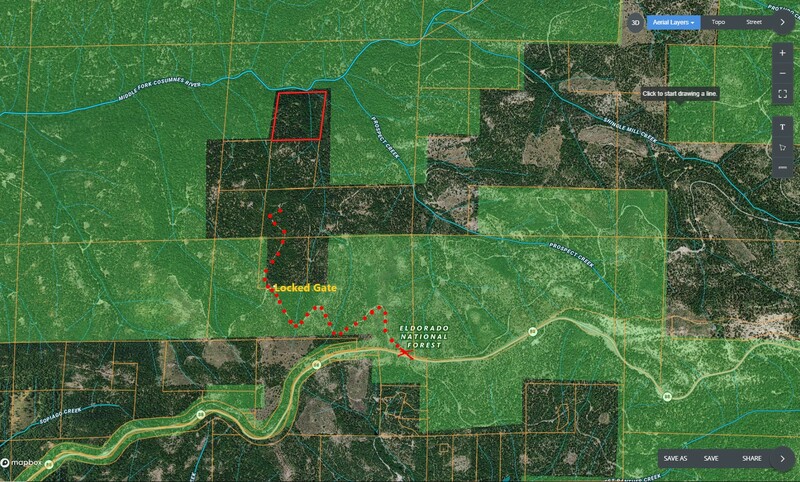 The 45 acres has 3 sides backing to National Forest and the only access is through private ground (Via Deeded Easement) that is gated and locked. So the wildlife are never disturbed. Same goes for the wild trout. There's LOTS OF THEM! And many places to build your dream home or family cabin, with views that stretch to up and down the valley and into the the white water and pools of the Cosumnes River. Deep, Deep soil and plentiful water from a year round creek that flows from end to end and dumps into the river on the property makes this an agricultural goldmine as well... Christmas Trees, Apple Trees, Vines, or just a place to go be with nature and relax in the beauty of this amazing place. Just 1/4 Mile East of Ham's Station, turn off HWY 88 to go North on the Forest Service Road 8N45. 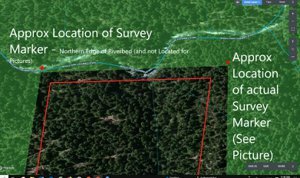 FOR AVAILABILITY, CURRENT PRICING AND ADDITIONAL INFORMATION PLEASE SEE THE FORTH HOYT'S FOREST AND TIMBER LAND LISTING HERE.